If you haven’t heard of “sprints” yet, they are simply time blocks, usually 2 weeks, whereby there are agreed sprint goals, and the work that fits into the sprint makes it way there based on priority. “We have 2 weeks — let’s focus on the highest priority items.” In the Fortune 100 world, where teams are building out software as a service, the items that make the next sprint are typically changes that promise the most return on investment. When tackling wellness design sprints, it is good to evaluate based on the value of the investment. So, before you start your first design sprint there is some background research that should be collected. If you didn’t conduct research yet, you can time box in a “research sprint” or “strategy sprint” if you are all about the sprinting. Additionally, you need to know what exact budget you are working with, as well as assign (or be told) who the key decision maker is, and a team. This wellness design sprint is based off of Google’s design sprint process. On the research front, there are two key surveys to plan, distribute, collect, and analyze. The first is an interest survey. This allows you to see what wellness topics and activities people are interested in. The second is a culture audit. This allows you to take a pulse of the culture as well as get info on the perceptions regarding the organizations stance on wellness. If you are working in an organization that is not too small, you can also do a health risk assessment. These can only be done if there are enough employees that anonymity is still preserved (greater than 50 employees). When it comes to any brand, there are always 3 key items to consider and notice the alignment of: Vision, culture, and image. Your organization has a vision, one in a big picture sense, and another that relates specifically to wellness. Maybe the wellness vision is that “We provide a healthy workplace that encourages engagement in team and individual wellness, supporting a physical workplace that is based on wellness standards as well as team and individual wellness improvements.” The culture is what it is. Are people taking smoking breaks? Do people elevate their standing desks? Participate in activities? Actually encourage and congratulate each other on wellness goals? Are they into it? Really? You may have data, or be able to collect data relating to wellness culture. Culture is not something that can be outright dictated, however, it can be influenced and changed (e.g. by providing the standing desk, you are influencing behavior change). Additionally, no matter how grand the vision is from on high, there is another factor that the organization cannot mandate, and that is the image: how the efforts are perceived from the external P.O.V.? Maybe outsiders your company as the epitome of wellness but employees are hiding in bathroom stalls bawling their eyes out because of workplace toxicity. This is the VCI brand model applied to wellness. For a brand, like Southwest, they have the vision, say, to be the safe, affordable, and fun airline. When you take a flight with them, you will likely see that the employee culture is one of fun. They tell jokes. They make bags of peanuts “race” down the aisle when ascending. They are vibrant, helpful and joyous people. Next up, image: What do their customers think? Their customers do, indeed, see Southwest as safe, affordable, fun, and transparent. This is what you see in real life, as well as online. VCI is in perfect alignment for Southwest. If you don’t already have one, crafting an operational plan in advance will serve as your roadmap for all wellness activities and endeavors. 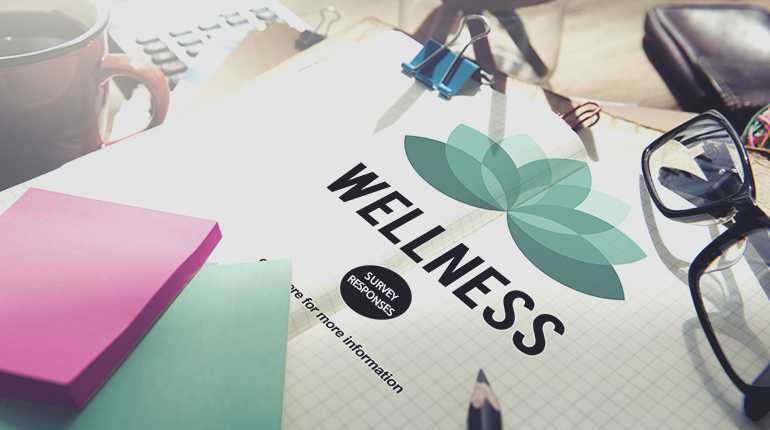 Wellness design sprint goals would be tied to this operational plan’s vision and SMART goals, as well as be connected to specific budgets and timelines. The design sprint will enable you to make awesome decisions quickly, but you need to know what your organization is putting down on the table, because after the design sprint you will actually be executing on the winning ideas. One decision maker needs to be appointed so that you can, for sure, pick a direction and call it a day. In all, the team will be composed of 6-8 members. The decision maker will be one member, as well as the facilitator. For these two people (especially), availability is key. We do want to keep the core team in place and, ideally, 100% present and engaged, but decisions can be made without a team member if need be. Come up with ground rules for your wellness design sprint. For example you may decided this should be a device-free zone, agree not to interrupt each other, practice active listening, use “laser speak,” be respectful, attend the full day, etc. Now that you are prepped with the right people, supplies, data, and funds, you can start Sprint 1. Here is an outline for the sprint. Keep this brief. The subtile above is self-explanatory, You may also want to cover ground rules and start with a quick, fun icebreaker, such as a Playful Ritual. Ket terms: lightening (fast) and lasered (fast and focused). Read more about laser speak here. Now all those great ideas you silenced (actually that would be the facilitator’s job) can make their way to sticky notes. For this article, let’s assume you are the facilitator. You seem like a very helpful person. Let the team use thick markers so they can share BIG ideas, not teeny-tiny details. Take 10 minutes to let everyone write ideas on as many small stickies as they need. Next, collect these and stick them up on a wall or a giant post it. Read off the stickies and start to group them based on similarity. 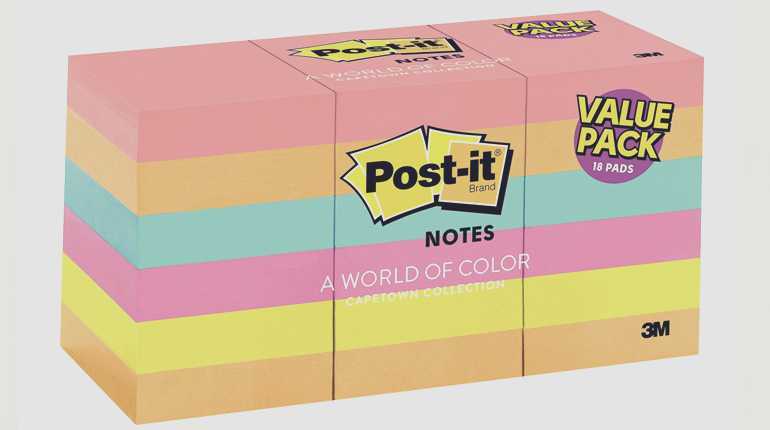 If you used a giant post it, you can write a “theme” above the similar notes. Perhaps today’s objective is focused on emotional wellness. Maybe you saw that there was an interest in “challenges” and you know many people were concerned about stress management (interest survey). Also, people had shown an interest in being educated on stress and “doing something with an app tracker.” Maybe the design sprint challenge would be to come up with a 12 month stress management program that incorporated education and challenges, ideally with an optional app component. People may be a bit shy here, but you should get a few answers, and a path to consensus. The decision maker needs to decide the challenge. This should be written on a big sticky note. Question: Armed with sticky notes and the interweb, what can’t we accomplish? Answer: Nothing. Take 15 min to search “stuff” and write “stuff.” Using the above sprint goal as an example, at this stage it wouldn’t be appropriate to find the best possible app, but rather to verify that stress apps exist, and maybe jot on a note: mindfulness app, this app, that app. If there is an idea about a challenge, it wouldn’t contain the specifics at this point, but just a cool title (or maybe a not-so-cool title, that is okay too). These stickies are basically high-level thought bubbles. It’s the “here’s what I’m thinking” stuck right there on a wall. No one writes their names on these stickies either. Get those voting stickers out and stick them on the ideas that have appeal. Give everyone 15 min to walk around and stick their stickers, pop out to hit the water closet. It will be clear to all what resonated with the team, but guess who gets to decide the next move? Correct, it’s the decision maker. You may need a little time to allow the facilitator to ask questions as she or he looks over the notes in all their sticker-covered glory. The person who stuck the note gets to answer the question. There will likely be a few winning ideas here. That is good! It’s good to step away during lunch, so picking a spot nearby that you know you can count on for fast service is recommended. You want to start the next session at 1 o’clock. Let everyone know that when you regroup, they will all be fleshing out ideas based on the winning ideas. Tell them that you want them to focus on lunch and other things, but that you want to plant this seed in their unconscious minds. Using the 8.5×11” paper, fold it into eighths. Here is where rough ideas and doodles can be drawn in. Somewhat more fleshed out ideas can be depicted as well. These ideas and sketches should address the “winners” that were decided before lunch. This should take about 20-30min. Using the voting stickers, there is another voting session. Again, the decision maker will get to decide what moves forward. This should also take 20-30 minutes. Now 2-3 teams should form to spend the last hour address a solid solution. a. Final voting round for the more fleshed out solutions. b. Final solution is picked by the decision maker. Decide on how to validate the success of the project. Earlier in the day you asked the team how success will be measured. Does that statement need to be refined? When exactly will you validate? How often? Who will own this? Does there need to be a follow up sprint for this particular challenge (a phase 2 perhaps)? Is this the type of wellness improvement that will need to be iterated on, or expanded? Additionally, schedule a design sprint for a new challenge. Based on the morning’s session your team may have an idea of what that challenge will be, and that is fine. Gather feedback regarding today’s design sprint. This can be a premade survey, or you can allow people to answer: What worked? What didn’t? Any kudos to give here? If more work is needed to complete this wellness offering (e.g. instead of purchasing a solution, something will be created in-house), set smart goals and decide on who is accountable. Ambush “Celebration” — Lighten the mood by “ambushing” them with Kool and the Gang’s famous song. Authentically thank everyone for their contribution. 1. How many stickers? Look at number of options — take 20-25% of that number and that is how many stickers to give each person. 2. Read Google’s Design Sprint PDF, or view all resources here.